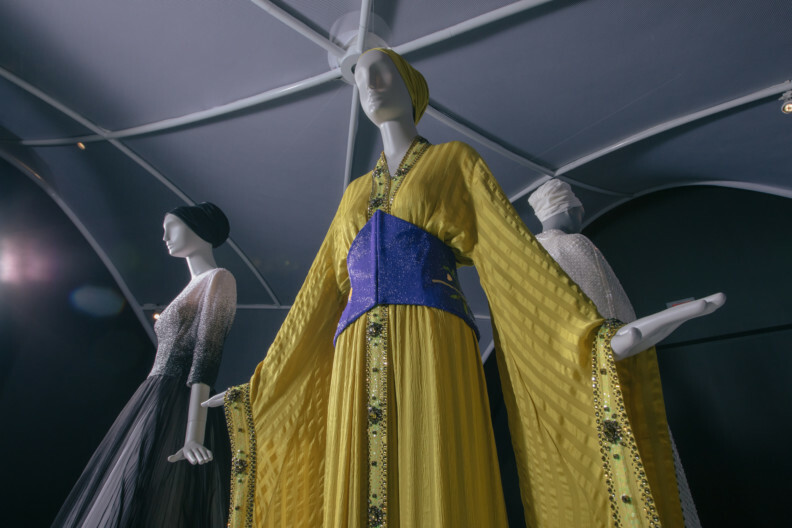 When Max Hollein announced his idea two years ago for a sweeping exhibition of Muslim fashions at the de Young Museum in San Francisco, where he was director, he received some “very intense reactions,” he recalled. And the criticisms came from surprisingly different factions. “I got a number of emails complaining, some in very harsh terms, that this is not the right time for America to celebrate Muslim culture,” Hollein said. “On the other hand, there were also people accusing us of celebrating the oppression of women.” (Breitbart News Daily questioned whether it was “a celebration of subjugation.”) The museum also heard from people of Islamic faith who found the notion of “fashion” antithetical to the religion’s modest dress codes. For them, the very idea of the show seemed sacrilege. 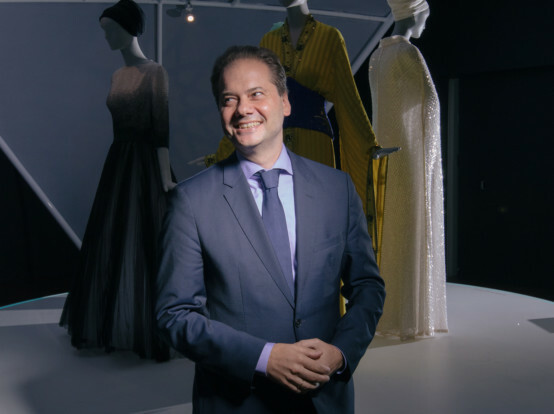 “We knew from the start we were entering new territory,” said Hollein, now the director at the Metropolitan Museum of Art in New York, taking a break from his new job in September to attend the opening of Contemporary Muslim Fashions, his first — and last — major show at the de Young. Hollein was wearing a dark blue Zegna suit that looked rather plain compared to a peacock-coloured gown on display nearby. 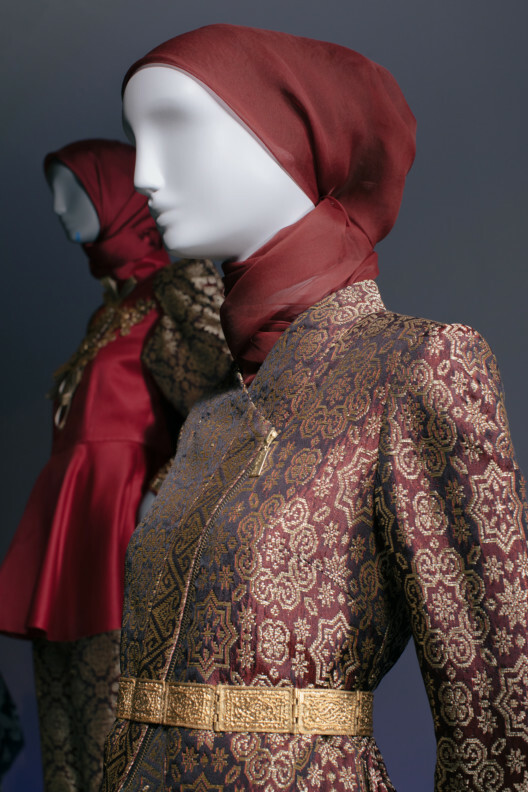 Contemporary Muslim Fashions, which runs through January 6, has received largely appreciative reviews. It explores the fusion of faith and fashion, modesty and modernity. The 80 ensembles on display were all designed to cover the body in keeping with Islamic principles. They range from updated versions of the traditional cloak known as the abaya, to relaxed, hip-hop inspired sportswear for Muslim youth by the London designer Sarah Elenany, to the richly textured ensembles crafted with batik and ikat fabrics by the rising Indonesian designers Dian Pelangi (who has nearly 5 million Instagram followers) and Khanaan Luqman Shamlan. The show also includes videos of newsworthy events, including the controversial French bans on the burkini, the full-body swimsuit, in 2016, and the 2018 hijab-shedding in Iran. The choice of whether to wear a hijab, the head scarf covering the hair, carries great religious, political and cultural weight for Muslim women in many countries. That is, assuming they have the choice: this year has seen multiple protests and arrests in Iran over the law mandating hijabs for women there. So how did an art museum in San Francisco — without a single Muslim curator on staff — go about navigating the potential minefields of such a survey? Hollein is not one of the exhibition’s curators. But he has served as its leading advocate at key points, describing Contemporary Muslim Fashions as a “seismograph” for a particular sociopolitical moment. He started paying attention to Muslim fashions four years ago while travelling to Tehran for his work as director of the Städel Museum in Frankfurt. He noticed the “vibrancy” of the city’s fashion scene, where “women were using the mandated hijab to express their own individuality,” he recalled. Back home, he watched with curiosity as Nike launched its high-profile “Pro Hijab” line for athletes. He was struck by the size of this fast-growing market, with Muslim consumers spending an estimated $243 billion on clothing in 2015, and projections that this would reach $368 billion by 2021, according to an economic report from Thomson Reuters in collaboration with the research firm DinarStandard. The buzzword for the field, which now has its own bloggers and fashion weeks, is “modest fashion,” a catchall category for loose, body-covering clothing whether worn by women following their religion’s guidelines or those seeking personal comfort. They persuaded Reina Lewis, a professor of cultural studies at the London College of Fashion at the University of the Arts London and leading expert on modest fashion — which she calls “a cross-faith movement” — to come aboard. 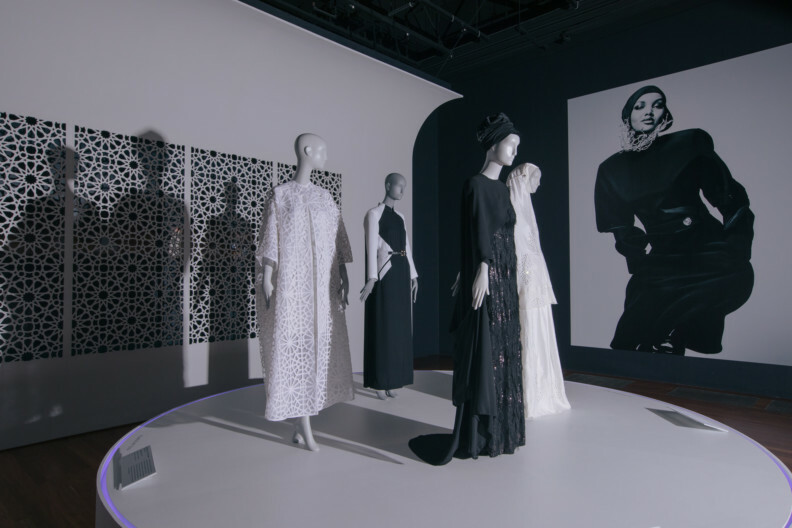 “There hasn’t been any exhibition of this size or scale before,” Lewis said, noting that “Cherchez la Femme” by the Jewish Museum in Berlin focused on headcoverings; another precedent was Faith Fashion Fusion: Muslim Women’s Style in Australia. The de Young’s working title, The Fashion of Islam, did not sit well with Lewis. “I would never talk about Muslim fashion in the singular and expect it to be just one thing,” she said. The curators also heard the feminist critique that Muslim coverings like hijabs are symbols of patriarchal oppression. Lewis’s perspective is that “some women try to create change from within, and that we all live complex and contradictory lives.” She also noted that some women wear a hijab on occasion, or for particular stretches of time, and that it’s not always a clear-cut case of allegiance or rejection. Hollein, whose wife, Nina, is a fashion designer, did not select the designers for the show. But he did help secure a major loan from Shaikha Moza Bint Nasser, the wife of the former emir of Qatar: four gowns by Jean Paul Gaultier and Karl Lagerfeld, among other couturiers. He also shaped the look of the show, commissioning the New York-based, Iranian-born architects Gisue Hariri and Mojgan Hariri to create a strong and “authentic” exhibition design. They have created a sleek, quasi-futuristic setting that riffs on traditional Muslim screens and arches, culminating in two large, white domes that curve over the mannequins. The domes are made from a semi-opaque white fabric with large arches cut out, creating a dramatic veiling effect. Gisue Hariri said the project was especially meaningful for her team at a time when Muslim women “are being increasingly targeted for using their fashion choices to assert their independence and identity.” But she said she didn’t want the exhibition, which features white pedestals against black walls, to appear bleak.